He was there to accept the award of Best Film for Celebration Day and present the Innovator Award to Wilko Johnson. 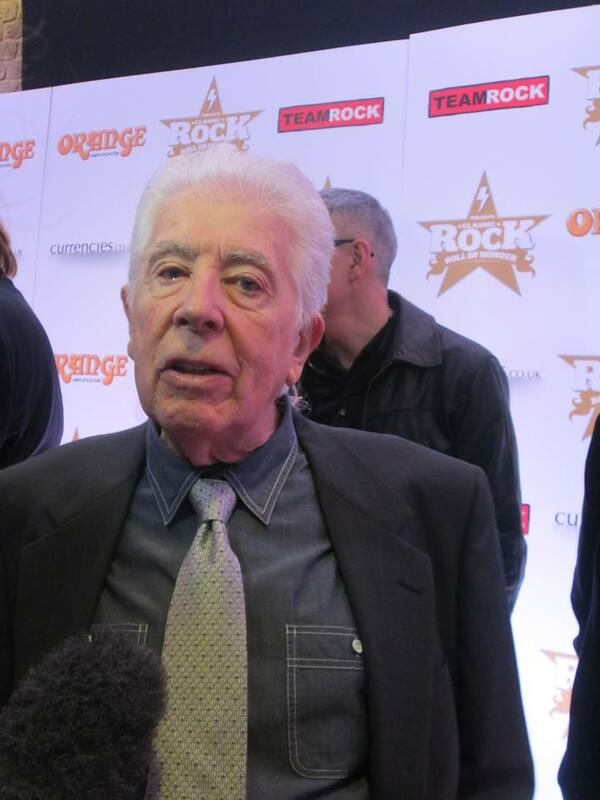 Beforehand amongst others, Saxon, The Darkness, Rick Wakeman, Mott The Hoople, Zakk Wylde and Black Sabbath strode the red carpet (Jimmy mainly bypassed that). 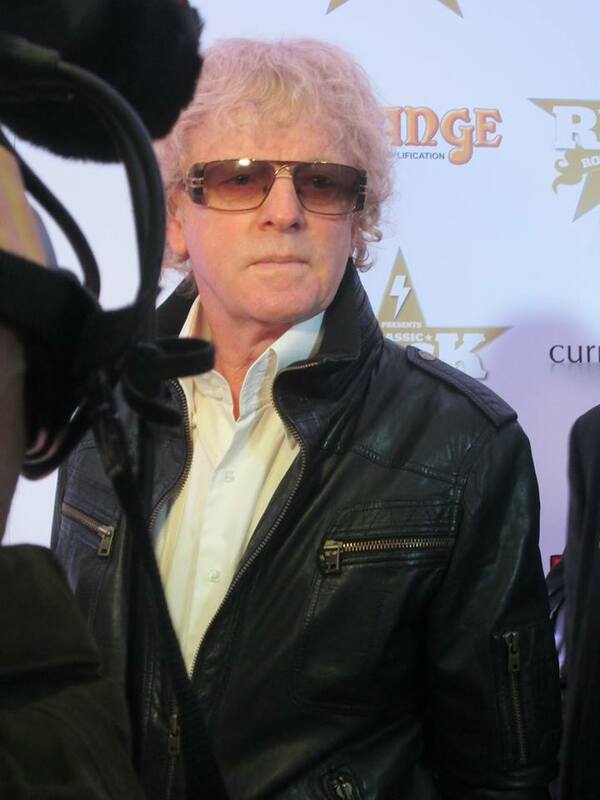 During the evening sitting on a table next to Mott’s Ian Hunter, he clapped along enthusiastically as the award winners were announced and accepted, notably for Black Sabbath and Rory Gallagher -Jimmy also joined for a standing ovation for 1950s jazz and blues pioneer Chris Barber who got up during John Mayall’s acceptance of the Classic Album award for the Bluesbreakers with Eric Clapton album. One of the best received awards of the night was the Outstanding Contribution Award for Mott The Hoople – this was handed over by Classic Rock’s Editor in chief Scott Rowley who astutely commented ‘’No longer young but still the dudes’’…oh yes….actually looking at these pics I took, Ian Hunter still does look amazingly young…. Master of ceremonies Fish in announcing the Led Zeppelin award commented that he had been at Knebworth in 1979 (he needs that book!) and went on to say ‘’This movie captures the incredible musicianship, the power and the majesty and captures the essence of the phenomenon known as Led Zeppelin. Jimmy handed out the Innovator award to the sadly terminally ill but incredible Wilko Johnson to mass applause. Here’s some comments via the Independent from Wilko …. 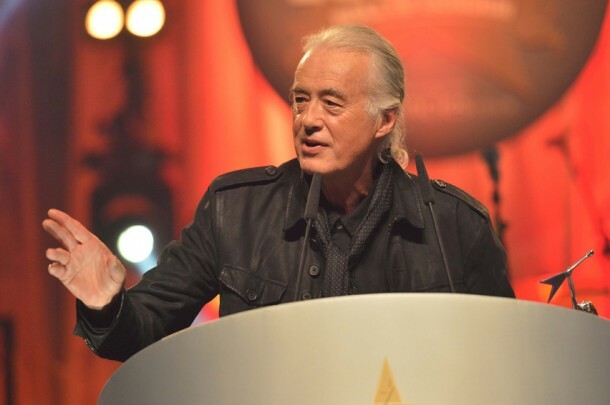 Jimmy Page, the Led Zeppelin guitarist, presented Johnson with the Innovator award at the Classic Rock magazine Roll of Honour held at the London Roundhouse, in front of an audience including Black Sabbath, Ray Davies and Manic Street Preachers. Since being diagnosed with terminal pancreatic cancer, the former Dr Feelgood guitarist, 66, says he has never felt more “vividly alive”. Johnson refused chemotherapy treatment so that he would have the strength to complete a “farewell tour” in Spring. I had been feeling edgy about the Knebworth book…and unfortunately my fears were not unfounded…there were major problems this week as the distribution of books to here commenced. There have been issues in the fulfilment of stock due to production issues with some of the books – and a resolve is ongoing. This caused considerable stress to the author and proved very frustrating after all the work Mick and I and others had put into the book over many months. However…on the upside we are back on track – the weekend launch is looking good and pre orders are set to commence distribution next week. As for the book itself – well it’s for others to judge but I think it is something special and one of the best things I’ve ever produced…it’s certainly been one of the most fulfilling in seeing it all come to frition….so don’t miss out – the ordering link is here…. 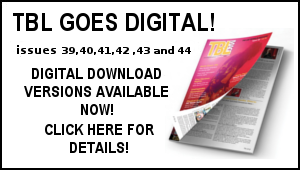 As for TBL 36, well that is all looking very good indeed and the plan is to begin distribution week commencing November 25th . Many thanks for all your patience. In a difficult week may I offer huge thanks to Mike Tremaglio who has been a tower of strength with his continued input. 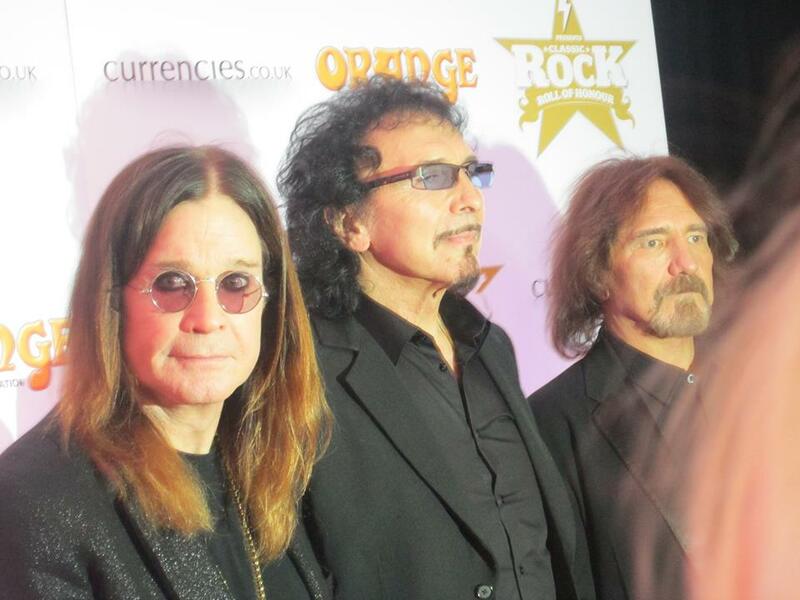 Given the frustration of the week, it was to good to get away from cardboard city here and zip into London last night to attend the Classic Rock Awards. As can be seen above, it was a great occasion with Jimmy on peak form, enthusiastically greeting the winners etc. 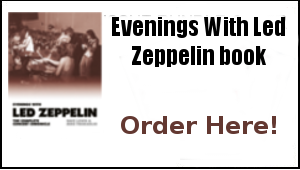 With excited speculation as to the content of the reissue project ahead and on the book front, memories of that memorable English summer of 1979 being rekindled, it’s a great time to be a Led Zep fan (once again!). All in all perfect timing and a very positive platform for your TBL editor and author to wax lyrical during the next two days at the VIP Musicmania Fair. 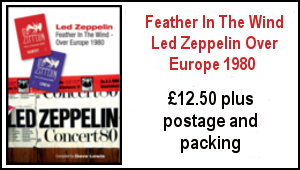 As previously mention, this weekend sees the launch of the Led Zeppelin at Knebworth book at the VIP Musicmania Fair at London’s Olympia. VIP’s LONDON MUSICMANIA – The biggest show in the world for the serious music fan – LONDON MUSICMANIA, arrives in just 4 days – 16 & 17 November. With all tables sold out, you will find the biggest selection of specialist music sellers from around the UK. In addition you will meet traders from USA, Canada, Australia, Belgium, Italy, Germany, France, Holland and more. On sale will be the rarest vinyl to the most collectable CD – from Elvis to Erasure and The Kinks to Kasabian! Also on sale – books, magazines, posters and everything music related. Dealers Southland, Rock Away,Cliff Yamasaki and Mike Vegh, all from the West Coast, present some of the rarest and choicest items from the US. From rare seven inch soul to the topBeatles collectables – these guys will have it! London Musicmania@Olympia – now THE major event! – THE place for the serious music buyer in 2013! 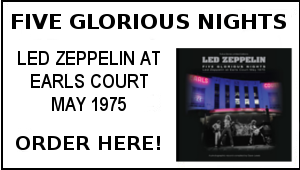 Details – Venue – Olympia 2, Hammersmith Road, London. Underground – London Olympia., on site, train every 15 mins from Earl’s Court. As usual with the VIP Fairs, there’s an abundance of Led Zep stuff on offer and it’s always a great day out. I will be in attendance over the two days signing copies of the book from the TBL stall. A variety of Tight But Loose products, and the new issue of the Tight But Loose Led Zeppelin magazine will also be available. I look forward to seeing all who can make it along. I’ll also be having a beer or two afterwards and again look forward to welcoming all who can join me. Note: If you have already pre ordered a book and plan attending either of the Olympia Fair launch days – I can reserve your book for you to collect. Just send an email to me so I can arrange collection. The TBL stall will be situated to the left of the hall as you walk in. My good friend Jerry Bloom will be next to me with his Wymer Publishing titles that include Frank Zappa/Steve Hackett/Deep Purple related books etc. So all roads lead to London’s Olympia… the Led Zeppelin Knebworth book launch/VIP Musicmania Fair looks to be a hugely enjoyable event. I look forward to saying hi to all that can make it along and many thanks for all your support. Dave Lewis/Gary Foy – November 15th, 2013. Good to see you at the record fair. Book looks great as well as new TBL. Enjoyed the fair and picked up some interesting vinyl, Death Wish/Scream for Help & Zep boot Just a Walk in the Park + Neal Preston photograph bookn so a cracking day. Great stuff Dave. You are on the spot as usual, taking the pulse and temperature of all things currently happening in Zepland. See you tomorrow buddy. Can’t wait to read the new improved Knebworth book. Rock on!